We have rescheduled this event due to the aftermath of the government shutdown. We are pleased to announce that the conference will be held on May 29-30 with the pre-conference workshops on May 28. 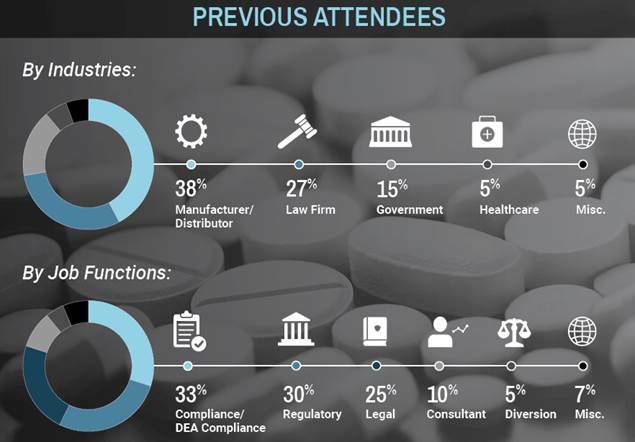 ACI is excited to return to Washington, D.C. with our one-of-a-kind, interactive forum where stakeholders can gather with peers, discuss challenges, and walk away with tailored strategies for overcoming these challenges. Federal and state authorities continue to go after opioid manufacturers, distributors, pharmacies, pharmacists, physicians, nurses, and every entity that forms a link in the supply chain, with relentless pursuit. Now is the time to ensure you are best prepared to respond and minimize potential risk so you are ready when your company/client is targeted. 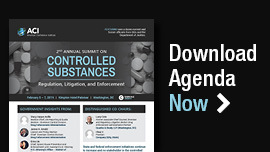 ACI’s Summit on Controlled Substances is your opportunity to gather and network with your peers and discuss effective strategies you can implement to properly respond to investigations and assist with combating the opioid abuse epidemic. Attend this event and you will gain necessary skills and strategies to rise to the ever-evolving challenges of this vital topic. Seats are selling out quickly. Register today!